#buqoYA: Another class ends! You are all awesome. It’s all the same, but different. 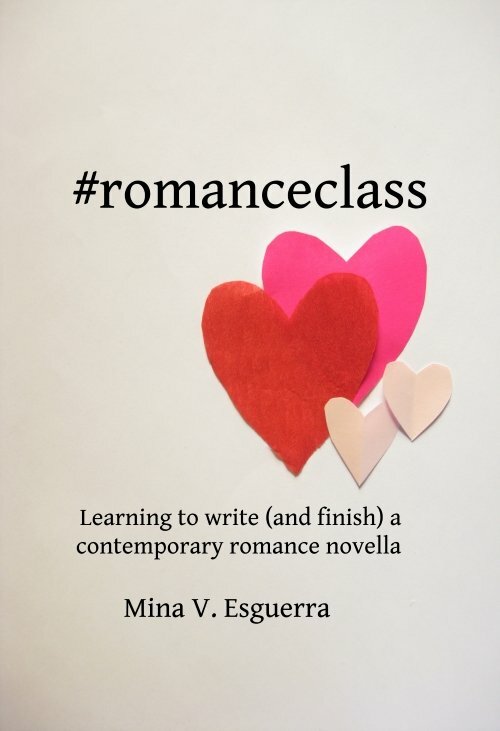 #buqoYA is a class similar to #romanceclass, #buqosteamyreads, and #flirtsteamyreads before it. It was mostly online, and you didn’t have to go to the meetups or face-to-face classes. It’s got a lot of the same people (raise your hand if you attended all of them! ), and the goal of each class was to guide people to finish a story. I don’t teach grammar or spelling or do much handholding as people write. Instead I provide guidelines and pacing, and suggest ways to help them set up their own support system. Finishing meant getting published, and many of those who finished stories in my previous classes did get published, one way or another. Different, because this time the class wrote YA. The characters had to be between 16 to 19 years old. I assigned all the participants to one of four tropes, and they had to stick to it, even if they got a trope they hated. I told them they could not remake Romeo and Juliet, so there should be no stories about young lovers from warring families eloping and ending in fake death and real death. (Call them out on it if they do it!) I had screenwriters Charlene Sawit Esguerra, Anton Santamaria, and Katski Flores share their insights on chemistry, tropes, and how to convincingly create history between characters. I made the participants read Stephanie Perkins and Jenny Han. And watch ’90s romcoms and Star Cinema movies. All the lessons were delivered through email, and the only way to discuss things was through Twitter, using the hashtag #buqoYA. It was a joy to check my Twitter feed every day and see authors sharing resources, photos, songs, anything that would help the others get into a “YA mood.” It’s almost like boot camp, making people write a story and finish it in five weeks. Out of over a hundred who signed up, a little over 30 authors finished their YA story. We’re still in the editing stage right now, but by the summer we’ll have over 30 new stories for young adults. By Pinoy authors. Some of them have published before, many of them are first-timers. I hope I can count on your support and let some new authors into your reading list, and maybe your hearts! 3. Listen to people. Do research. For some of the writers the challenge was writing “young.” For others it was writing a person who seemed too different from who they were. In every case it helped to step back, and open up to the possibility that we need to learn something new. Listen to people. Look things up. Ask other people how they live. I am a fan now of stepping out of our comfort zones, especially when writing. 5. Brush up on grammar because I will not be teaching it. While this all seems like fun and games, I did say it was like boot camp. It was real work. I also did something that I didn’t do in previous classes — I required all submissions to be grammar-checked before submitting to me. Even just a one-paragraph description. If I can’t read a submission well past the first few sentences because of the grammar problems, I was not going to let the participant continue until it was edited. The reason I did this should be obvious: I don’t teach grammar. I think it slows down the good students when I slow down to take the time to tell someone that their sentence is not grammatically correct. Anyone intending to join a class at this level — meaning we are looking a publishing deal in the eye — should have their basics down. I’m not going to be the person who teaches someone subject-verb agreement, please. 6. Join the class because you like what we’re asking you to do. Don’t join if it’s not what you want to do. If the class is sponsored (in this case by retailer buqo) the sponsor gets to influence the kind of stories we produce. I think it’s a fair trade, since they’re making it so that the participants don’t pay for anything. I also mention right away what the sponsor is looking for, and give participants every chance to opt out if they find out along the way that this is not the class for them. Did your beta readers love your story? All the revisions go through okay? Did the copy editor find every typo? That’s not the end of it! I don’t believe that a story is ever “finally perfect” and then sent out into the world. A story is what it is, and then readers react to it however they want to. Some will love it, some will hate it, and the best we can do is learn from the reactions and apply lessons learned to future work. So even after all the work you put in, all the people who helped you…the work is not done. It never is. 🙂 Because now you know how to do this, author, and you might just keep doing it! It won’t end. As always, this class was fun, and I’m glad it worked for so many of you. But you have to remember that I didn’t really do much more than send emails. You did all the work. A book with your name on it exists now because you did all the work.